Domestic airlines have announced that there will be an additional 3,650 flights to 19 internal airports to meet the increasing travel demand during the Tet (Lunar New Year) festival 2019, lifting the total number flights for the holiday period to 28,500, up 8.7 percent year-on-year. 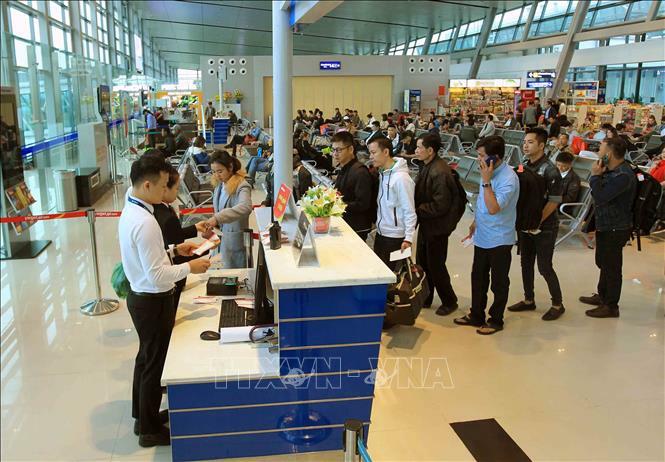 According to Director of the Civil Aviation Authority of Vietnam (CAAV) Dinh Viet Thang, the number of passengers travelling by air during Tet is forecast to rise 11 percent compared to the same period last year. The schedule stipulates that airlines will increase 600 flights on the Ho Chi Minh City-Hanoi route, 520 on the HCM City-Da Nang route, 420 from HCM City to Vinh, 400 on the HCM City-Thanh Hoa path, and 379 between HCM City and Hue. They have also registered to increase 28 flights on the Hanoi-Phu Quoc route and 23 others between Hanoi and Cam Ranh. According to Tran Bao Ngoc, Director of the Ministry of Transport’s Department of Transportation, nearly 1.8 million seats are still available, but flights from HCM City to other localities have been full on days close to the Tet festival.